As the pomp and pretense of Oscar Night fade away, let me tell you about my favorite movie of the season. In contrast to the glamor and glitter of Hollywood, Crazy Heart has a real — almost gritty — feeling to it. Meandering and muddy at times, sharp and rushing at others, it is much like the Rio Grande that winds through the New Mexican landscape that it so beautifully showcases throughout its two hours. Jeff Bridges is the star of the film — no, Jeff Bridges is the film. Bridges plays washed up country singer “Bad” Blake. Bad won’t reveal his true name: “I was born Bad. When I die my tombstone will have my real name on it. Till then, I’m just gonna stay Bad.” Bridges’ acting is superb, to the point where we completely lose ourselves in his character and are no longer sure whether we are watching Bridges act the part of Blake or watching the real Blake himself. Needless to say, this is the ultimate litmus test of acting, and Bridges passes with flying colors. Dirty, drunk and old at times, wry, sharp and still full of life at others, you can practically smell the whiskey — and the charm — oozing off of his character. Bridges’ Oscar for Best Actor is more than well earned. 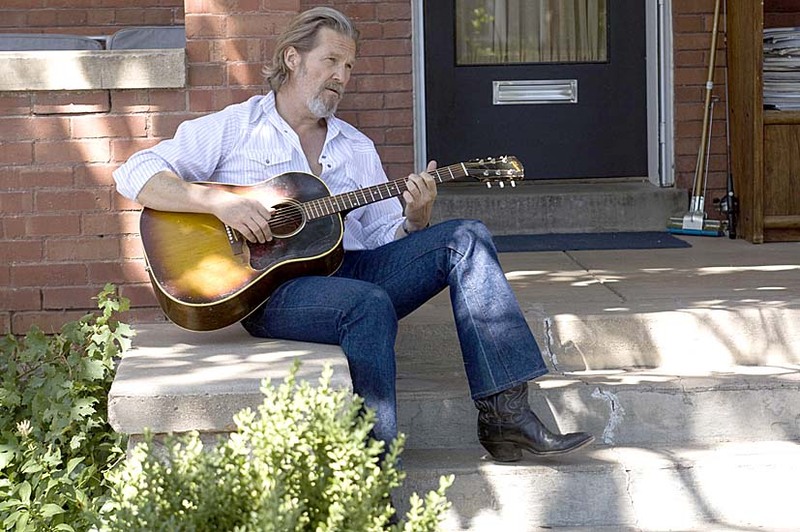 Though one might expect a story about a former country star turned alcoholic to be depressing, Crazy Heart is not, leaving us at times uplifted and even inspired. Tempered and mellowed by the vicissitudes of life, “Bad” radiates a certain maturity, wisdom and humor, mostly about the rough-and-tumble life he has led. When romantic interest journalist Jean Craddock (Maggie Gyllenhaal) asks “Bad” how he came up with the inspiration for his songs, he retorts, “Life, unfortunately.” It seems that the most difficult of lives make the sweetest of songs. Crazy Heart has a talented supporting cast including Australian superstar Colin Farrell, who plays Tommy Sweet, former member of Blake’s backup band “Bad’s Boys” who has now made it to the Country Music big time. Sweet lives up to his name, consistently loyal to his former mentor and never failing to give him credit where credit is due. He is even trying to find a way to include Blake in some of his new-found fame and fortune. Robert Duvall plays Wayne, Blake’s best friend and guardian angel, a former alcoholic turned tavern owner where Blake performs regularly on stage. The only character (and actor) that left me disappointed is love interest Jean Craddock, played by Maggie Gyllenhaal. I found her character, as well as her acting, to be, quite frankly, dull and uninspired, plus I never quite bought the idea that she has fallen in love with an alcoholic twenty-five years her senior. A review of Crazy Heart would not be complete without mention of two important elements of the film which, though never taking center stage, are ubiquitously present as backdrop. The first is country music, much of it composed specially for the movie by legendary American songwriter T-Bone Burnett and often performed by Bridges himself, who does all his own singing and guitar playing. Bridges learned to play the guitar as a child, and has stated that one of the reasons he was attracted to this role was the opportunity to sing and play guitar. The music, though squarely within the Country genre, is eclectic with a bent towards honky-tonk and sharp, witty lyrics. The second silent partner in Crazy Heart is the landscape of the American Southwest. Much of the movie is filmed in New Mexico, and writer and director Scott Cooper seamlessly weaves the breathtaking landscape of the area into the movie. In summary, do not miss Crazy Heart. Though the story is as old as “Bad” Blake himself, the acting, especially that of Bridges, plus the music, make this movie fresh and new. If you miss Crazy Heart, you yourself might be suspected of being a bit crazy. Log in | Register |	85 queries. 0.544 seconds.